I’ve been waiting months to talk with you about Save Me the Plums. I received my advanced copy of Ruth Reichl’s much anticipated memoir late last year. Finally, the book is available to be snatched from bookstore shelves by the food obsessed public. 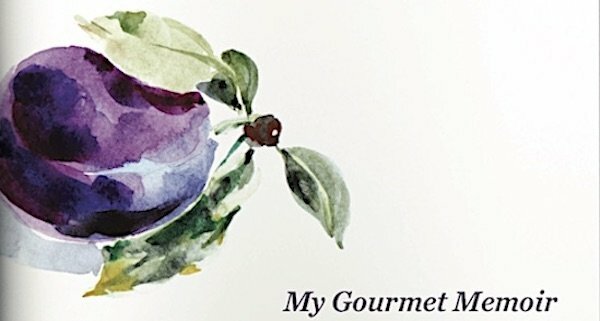 Reichl’s latest work, Save Me the Plums recounts her time at Gourmet magazine. As told in Reichl’s singular voice, it was without question the place to be. And, if you were a member of the food world, she was the woman to envy. Yes, I admit, as I indulged in her detailed descriptions, I felt a pang. I was working as a struggling freelance writer through much of Reichl’s tenure at the magazine. To hear the description’s of the staff’s glorious trips and the indulgences of their state-of-the-art test kitchen left me longing to erase my own past so I could rewrite it as a member of this magazine staff. If the glamour of the job as Gourmet magazine’s editor is more what you’re hungering for, don’t worry, the book describes the cocktails with Chanel, breakfasts with Lexus and the glorious parties hosted by Manhattan’s most famous chefs. The details will make you salivate at the thought of one day in Reichl’s rarified air. But, of course, life at Gourmet magazine was not all glamorous occasions. The story tears at your heart as it recounts the experience of 9-11 through the eyes of the New York food community. And, as you can probably guess, it details with a frankness that makes you wince, the downward slide of Gourmet magazine. And this, to me, was the most fascinating part of the book. Not the failure of a magazine but the weight of the history. For Reichl–for whom the magazine’s failure is not to blame–it was a loss of a lifelong love. Reichl first discovered the magazine in the stacks of a used book store. Like Reichl, my relationship with the magazine began in childhood. My mother had a friend would pass on her old copies, still glossy with perfect spines as though she’d never even peeled back the cover to read the table of contents. I would pluck the copies from my mother’s magazine rack. At first I would only study the covers but later, I would begin to cook from the elaborate recipes. So as Reichl looked back on the magazine’s history, I could feel the pull of the strings that tied the magazine to her personal food history as I felt it into my own personal history with food. And I suspect many other readers will feel a similar tug as they experience Save Me the Plums. 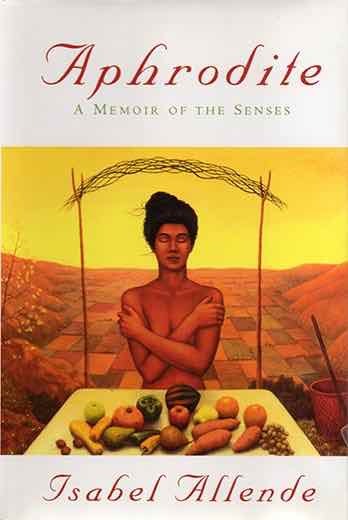 Ultimately, the book proves that what is most important of all as a member of the food community is the giving nature of the business. There is a Ruth after the plush office, car and driver and lavish expense account. And what defines her is her family of food people and the world that they share. The acknowledgement, written after the death of Pulitzer Prize-winning food writer Jonathan Gold, offers the experience of coming together with the food community to remember this odd, passionate, wildly talented man. The memory brought a tear to my eye. As a member of the Los Angeles food community, Gold was an important part of my world, too. And in that moment, I felt connected to Reichl. Would I take back my own history just to have the chance to have worked at Gourmet magazine? No. But I sure would have liked to have spent a day in her shoes! And with this memoir, at least for a moment, I can almost feel like I have.